West Coast Companies offers a complete range of pneumatic conveyance equipment and components to help you move your product efficiently and with minimal need for cleanout. From Vacuum Sequencing, with a focus on powders and friable material handling, to Bulk Material Conveyance, such as for grain, seed and processing facility waste streams, West Coast Companies can provide the solution to your problem. Call West Coast Companies today to discuss the design of your new Pneumatic Conveyance System. The versatility, flexibility, and performance of Handlair® is unmatched in the grain vac industry. 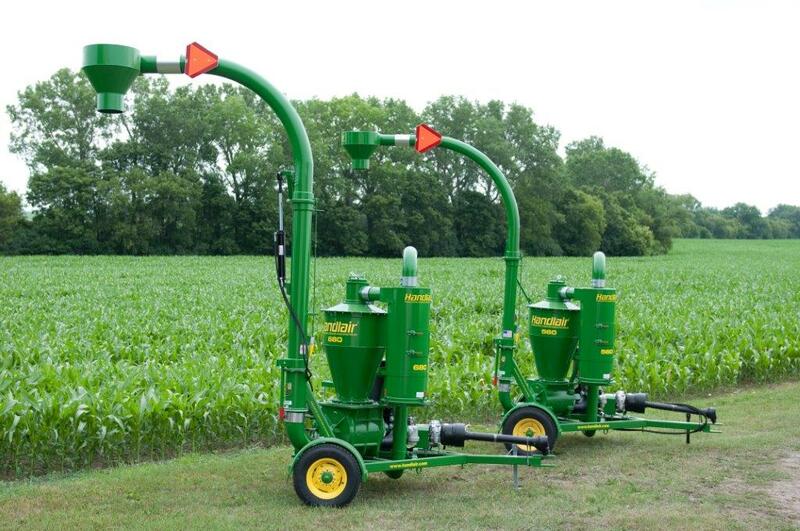 Unlike most grain vacs which are limited to truck loading, a Handlair can fill tall bins, silos, and flat storage; transfer grain over long distances (several hundred feet); and gently handle seed grains – all while using lightweight 4″ to 6″ piping that makes set-up, operation, and take-down a breeze. 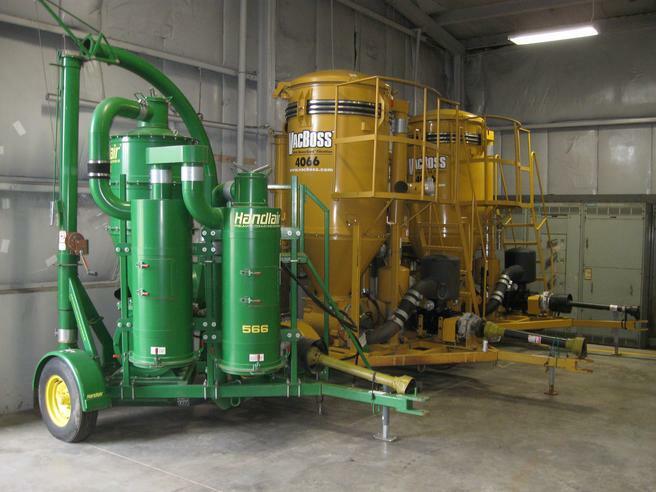 Developed and built for years of service in the heart of USA’s corn and soybean country, Handlair continues to set performance standards for grain vacs. VacBoss produces high quality pneumatic conveying equipment such as the VacBoss Model 4066 PTO. An excellent choice for commercial or high volume product transfer operations, VacBoss equipment boasts a nearly 100% filtering efficiency due to the BlowerGard Filtration system. This in turn increases blower life and protects your VacBoss investment over time. VacBoss offers a 5-year/2,500 hour abrasion-free blower limited warranty. Let’s discuss the best solution for your operation.